Read this article on allure.com here. 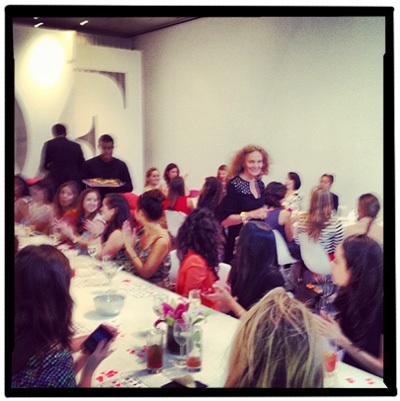 I don’t know many women who don’t idolize Diane von Furstenberg—she is incredibly glamorous and yet somehow relatable. She recently hosted a bingo night to preview her holiday collection, and despite the gorgeous clutches, fragrances (she has a new one out this fall), and male models serving up fancy cocktails, all eyes were on DVF. She even called out the bingo numbers in her unforgettable accent. It’s official: We’re in love.